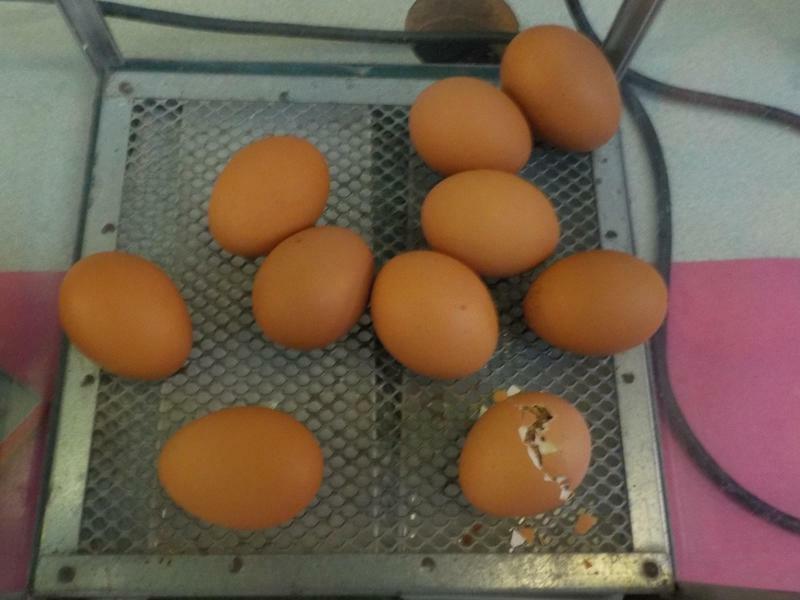 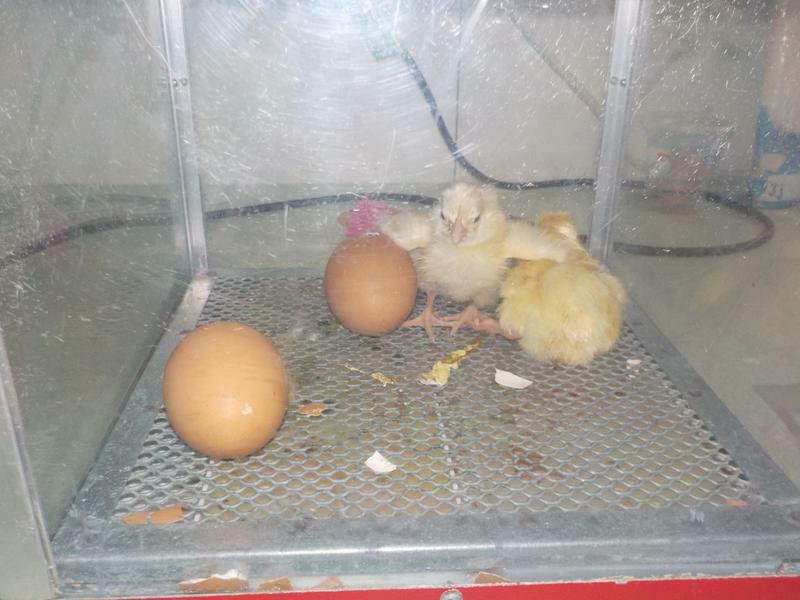 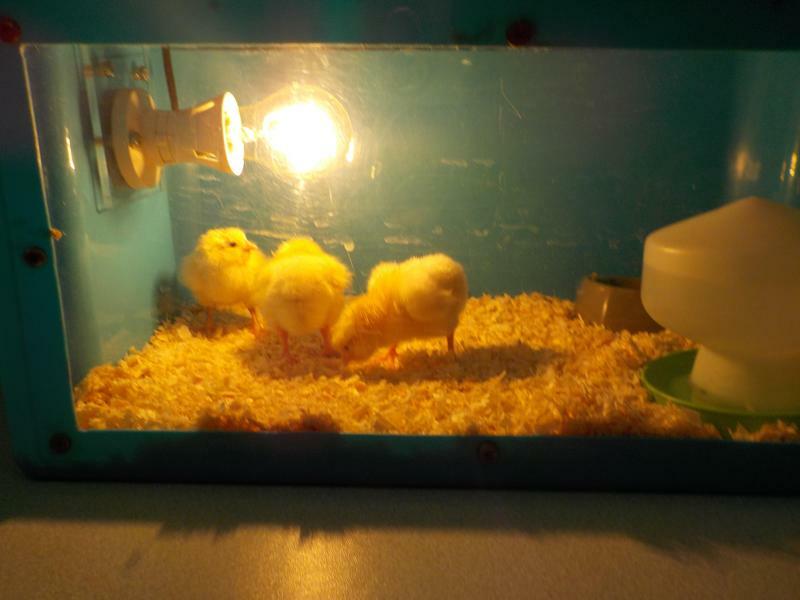 Living Eggs Experience: We received our living eggs on Monday, look at the progress they have made! 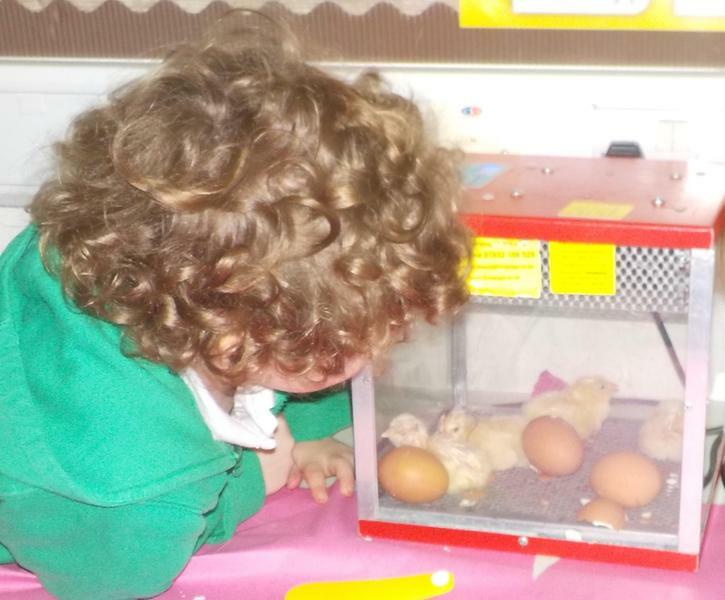 On March 4th we all became farmers for the day, go to Squirrel's class page to see how we got on! 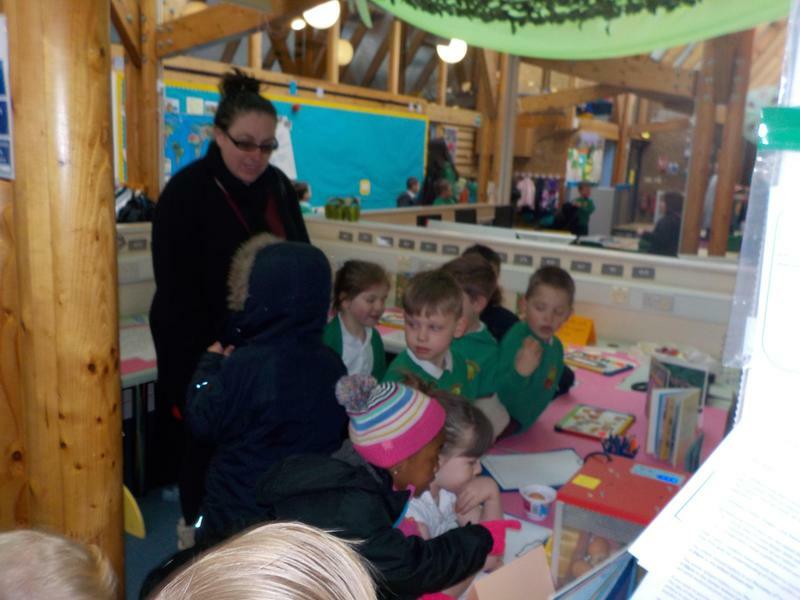 Thank you to all of the Foxes and Squirrels for being 'super' at donating money for Children In Need! 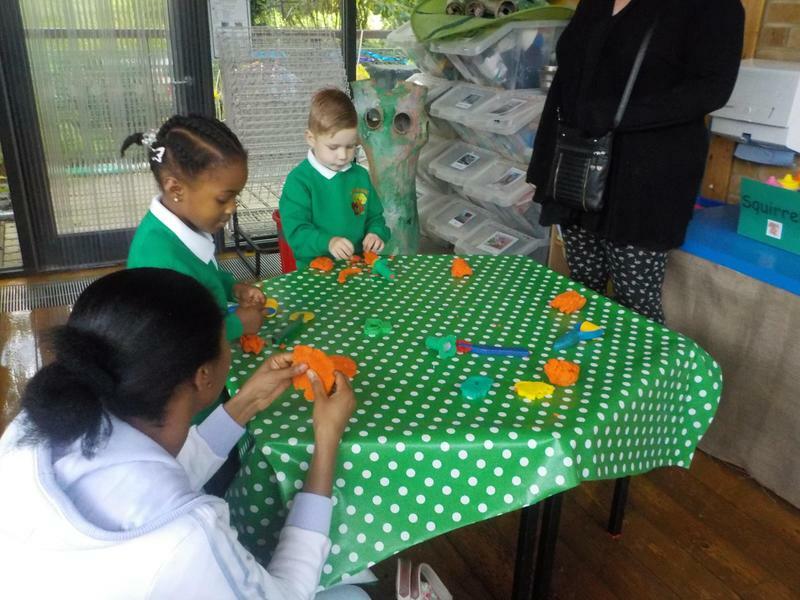 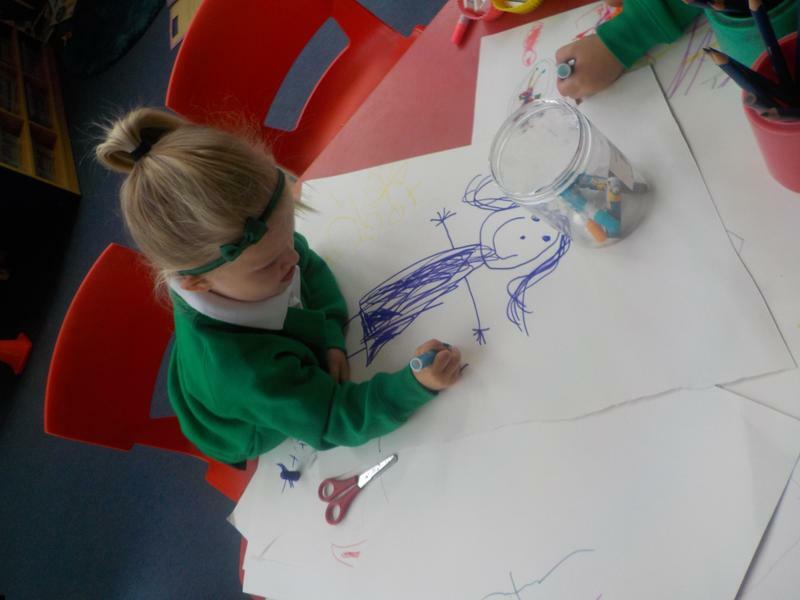 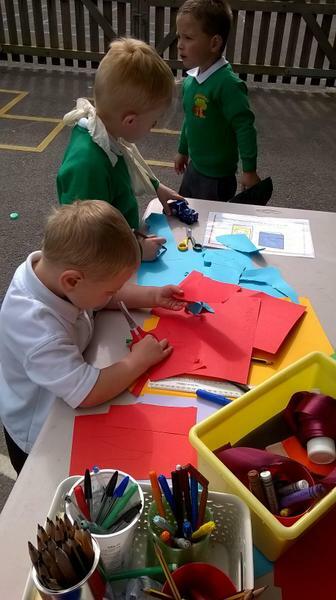 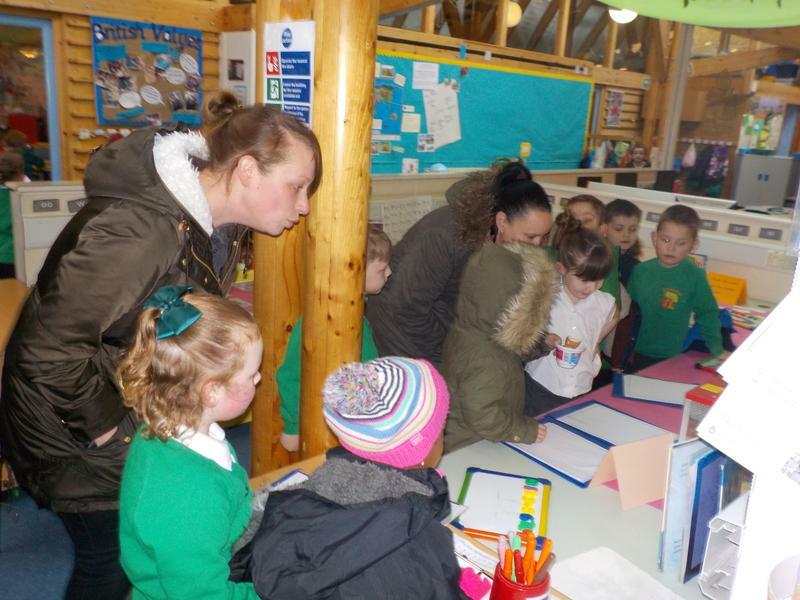 We had fun being involved and concentrating cutting out superhero masks and making capes! 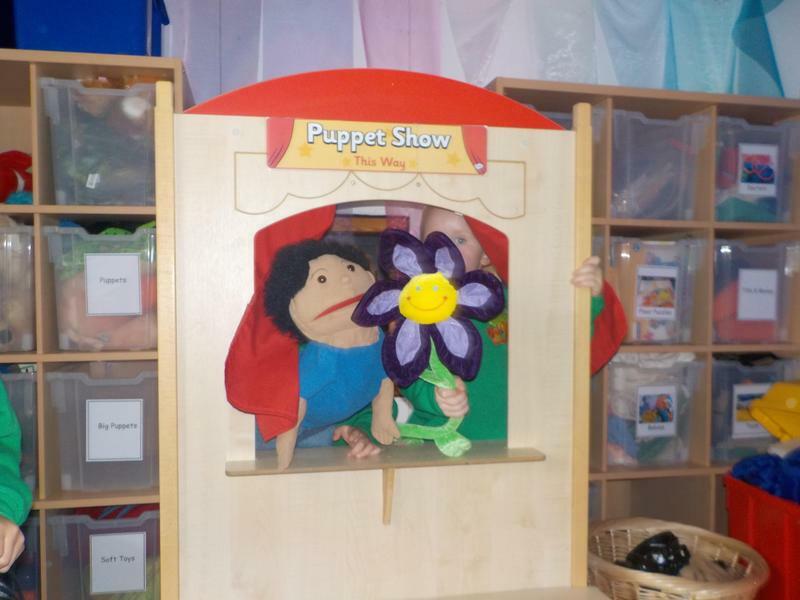 We had a visit from Open Box Theatre who took us on a magical adventure with 'A bag full of stories!' 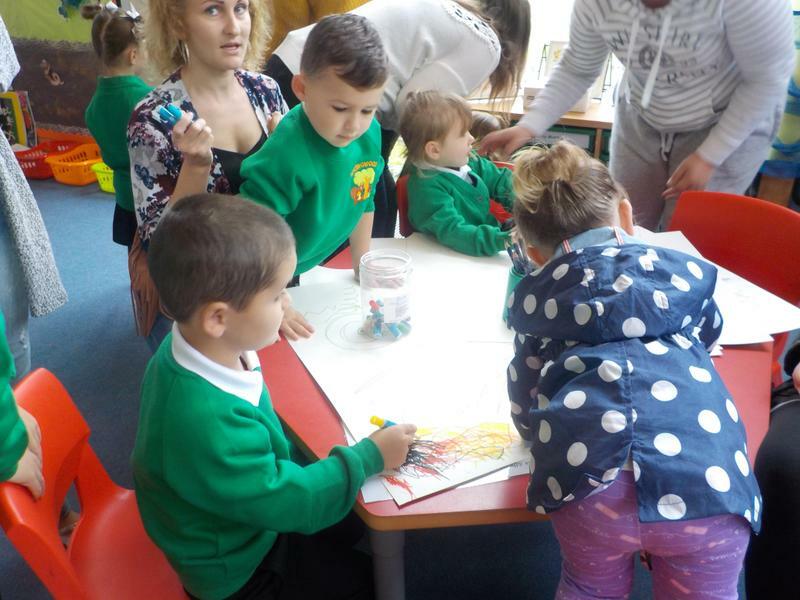 We listened to stories from Africa and Cambodia and learnt the importance of sharing stories! 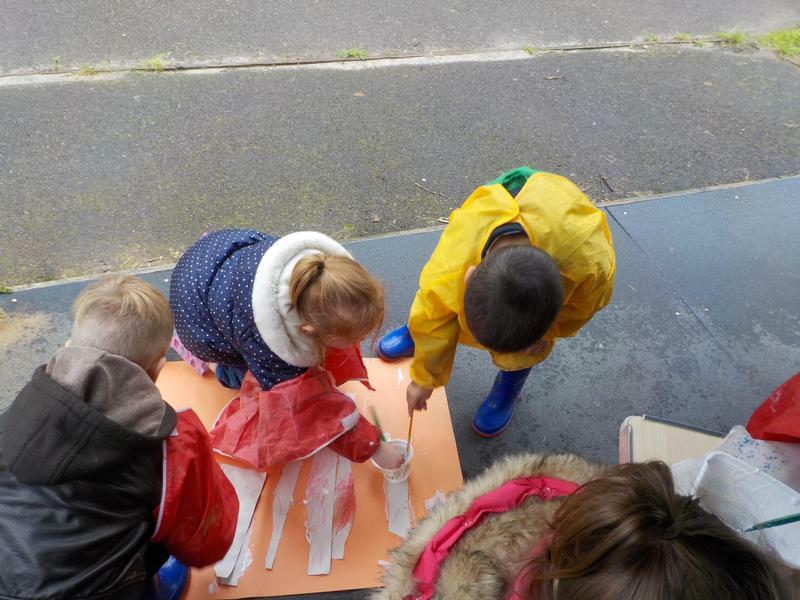 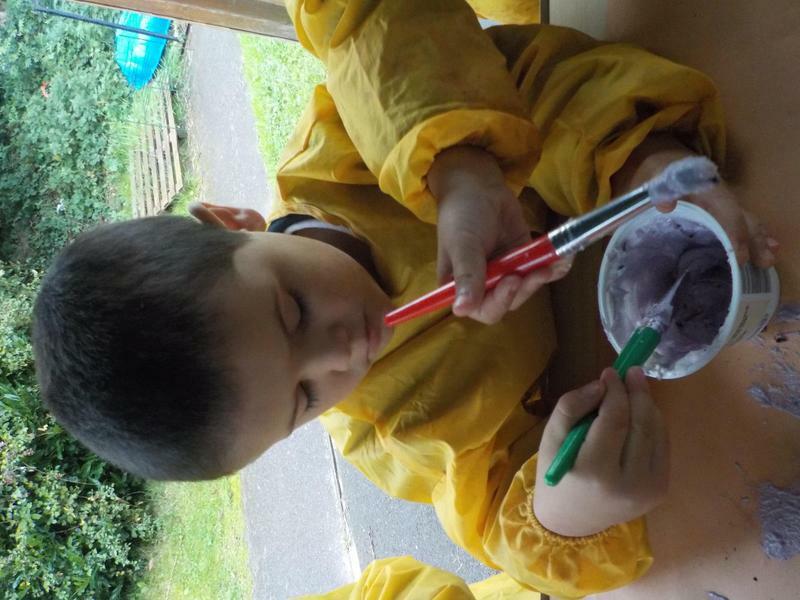 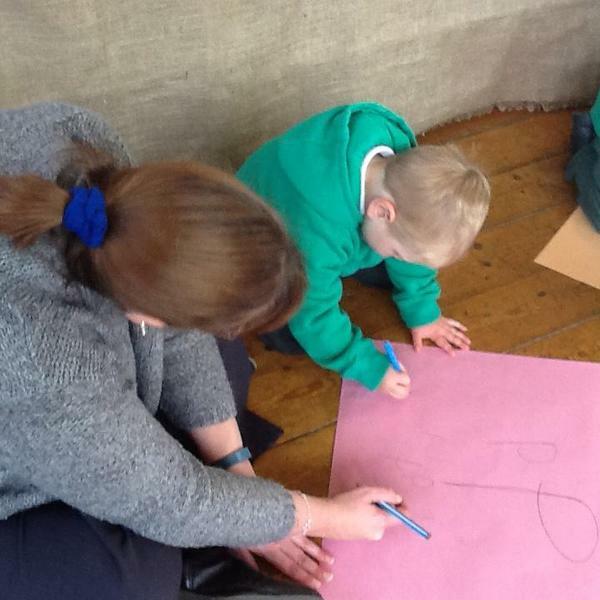 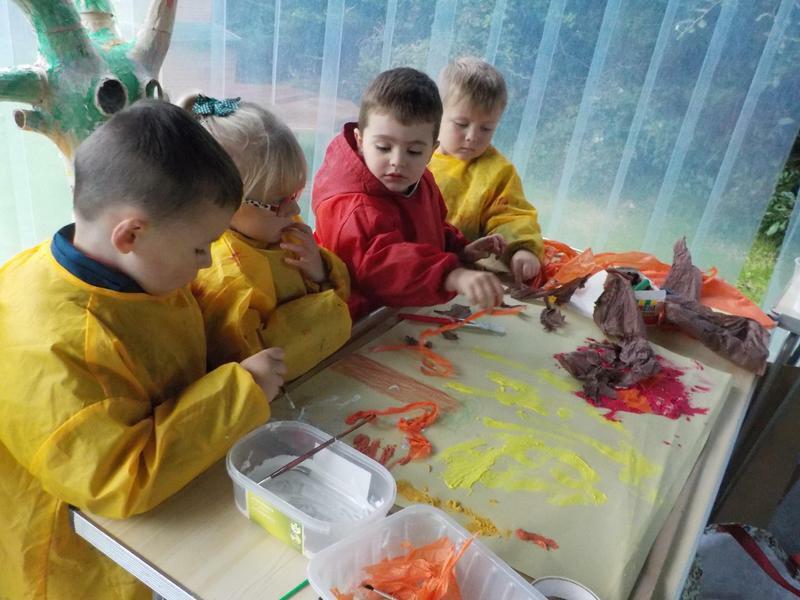 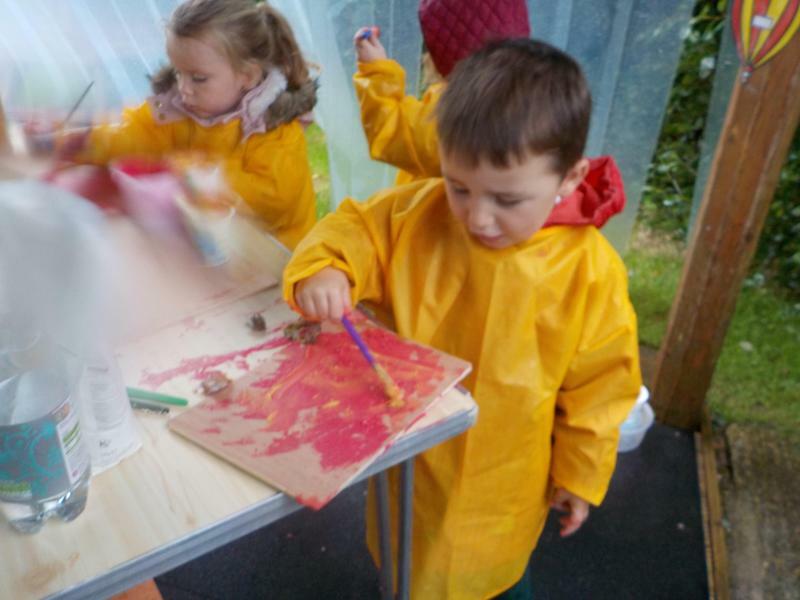 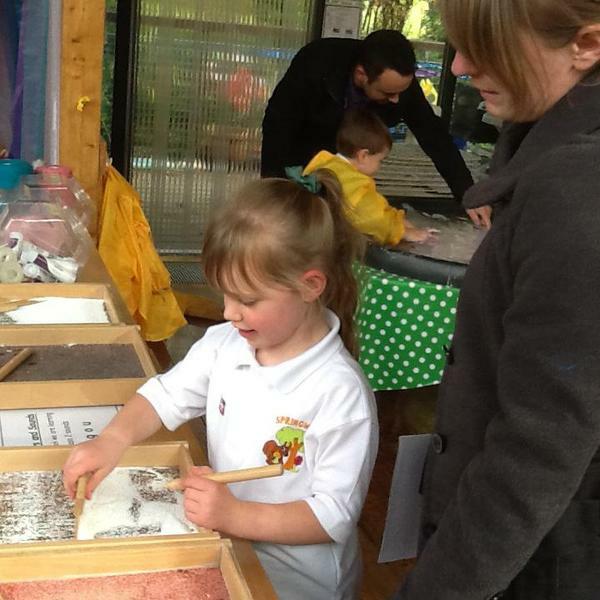 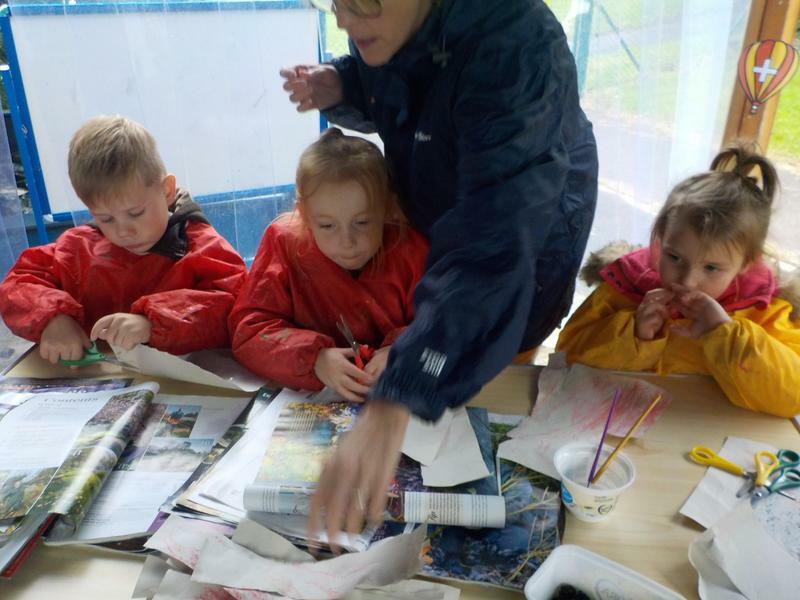 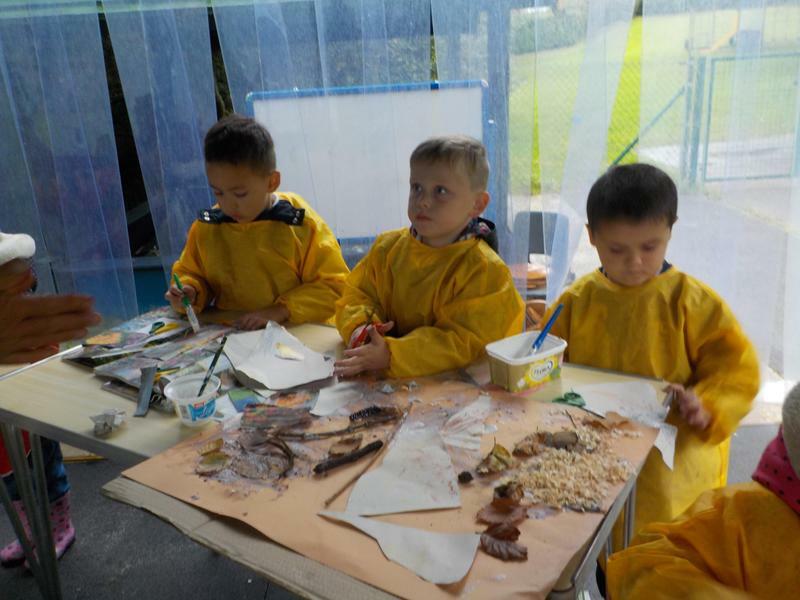 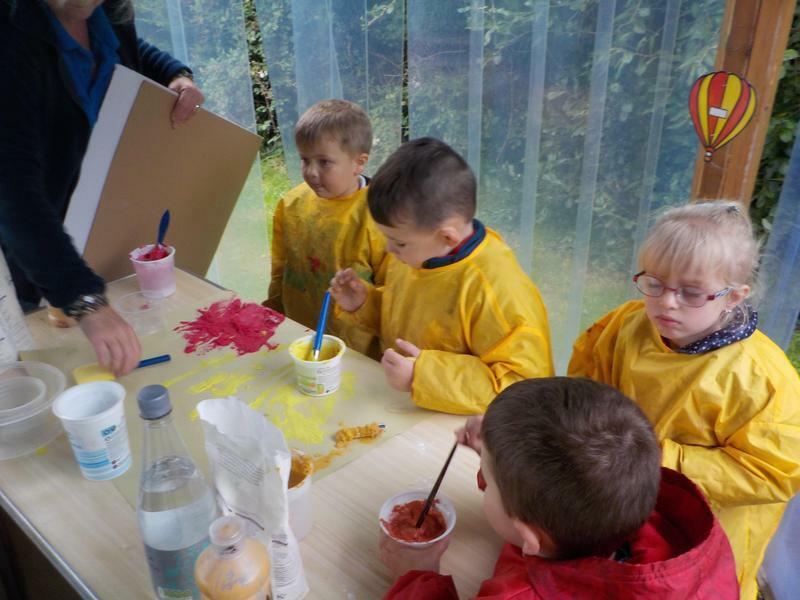 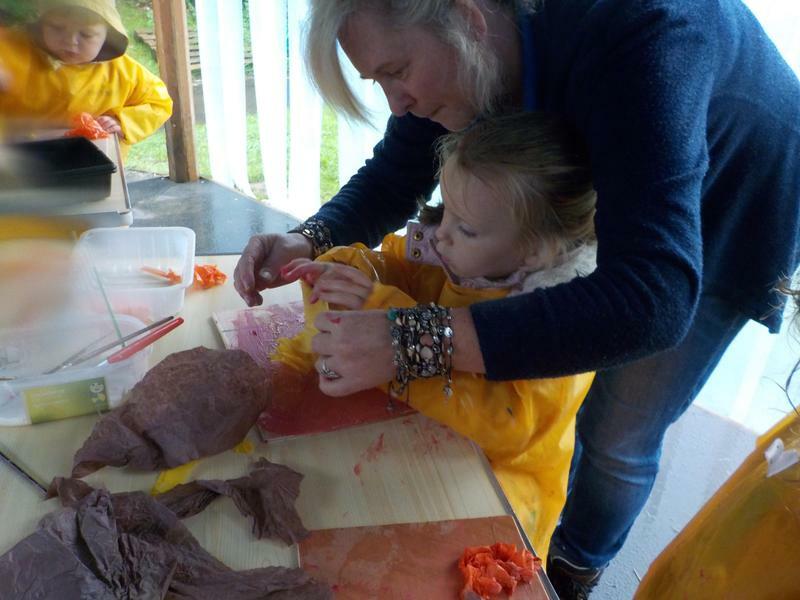 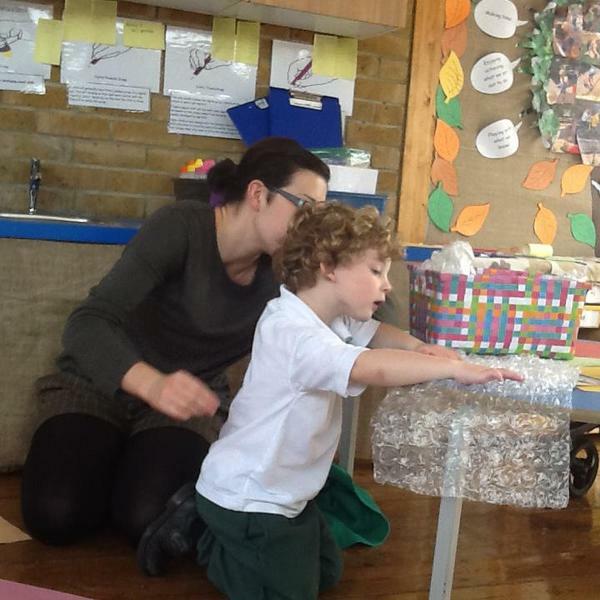 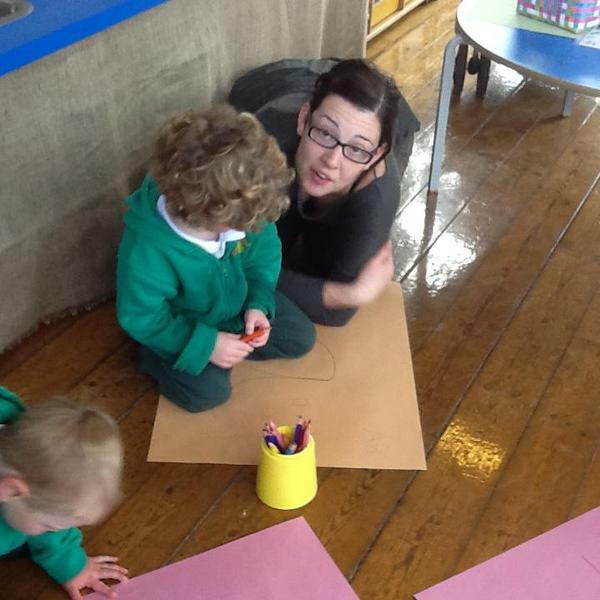 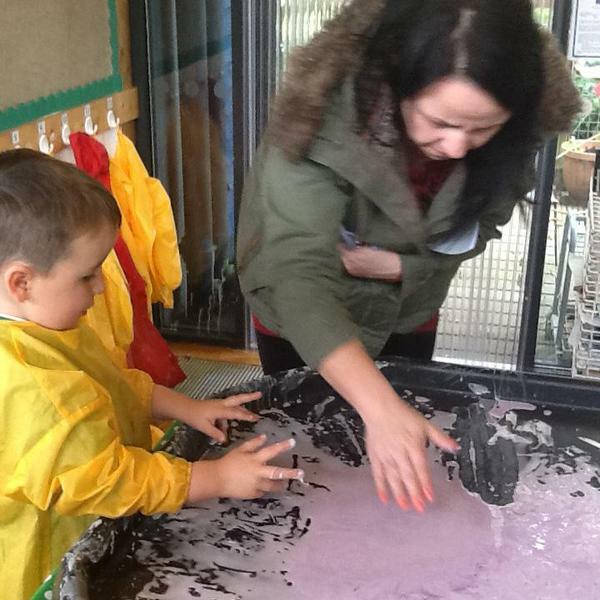 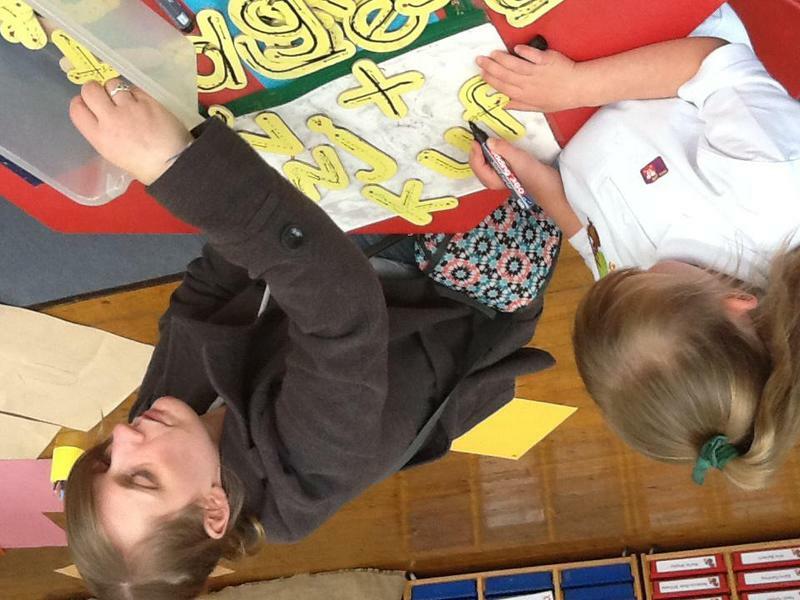 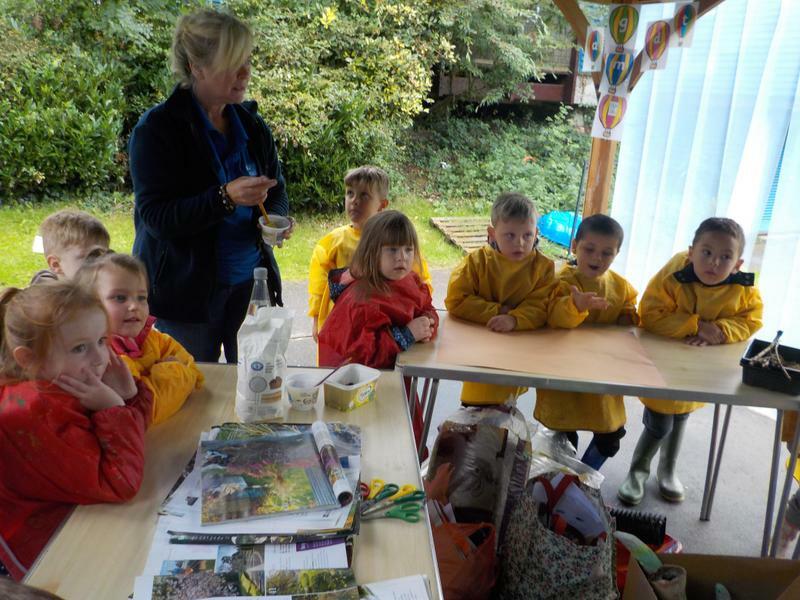 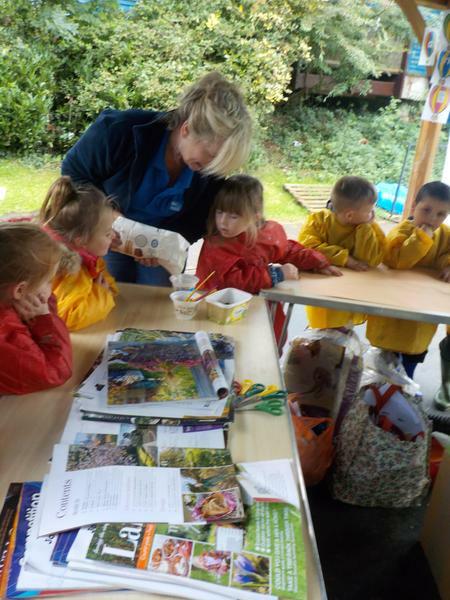 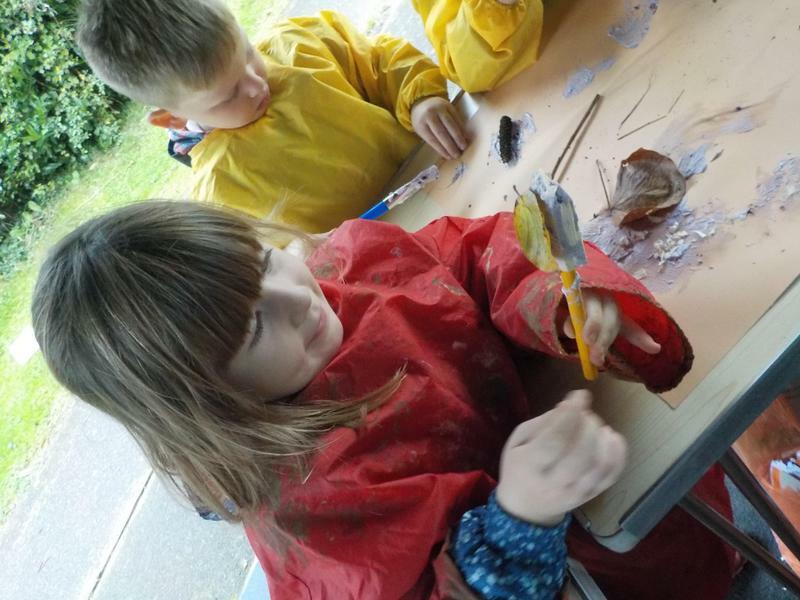 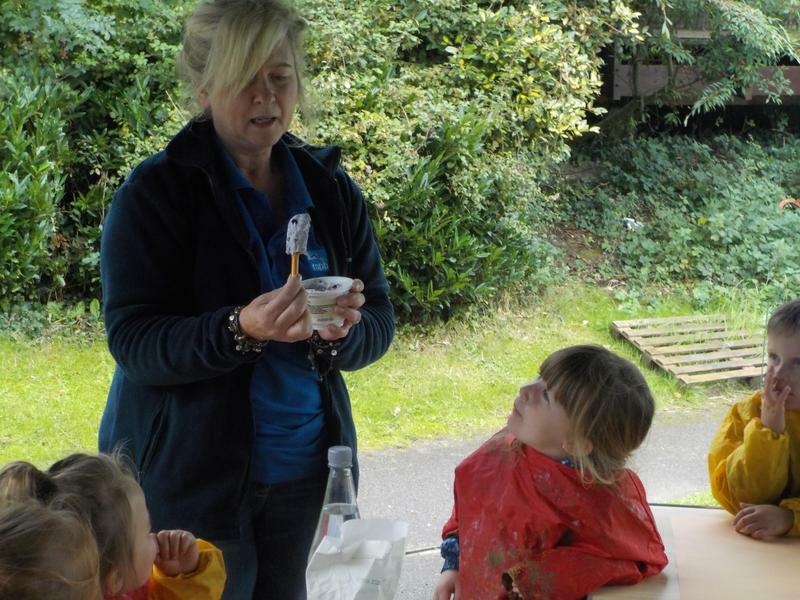 We have been having lots of messy fun with Jan from the RSPB! 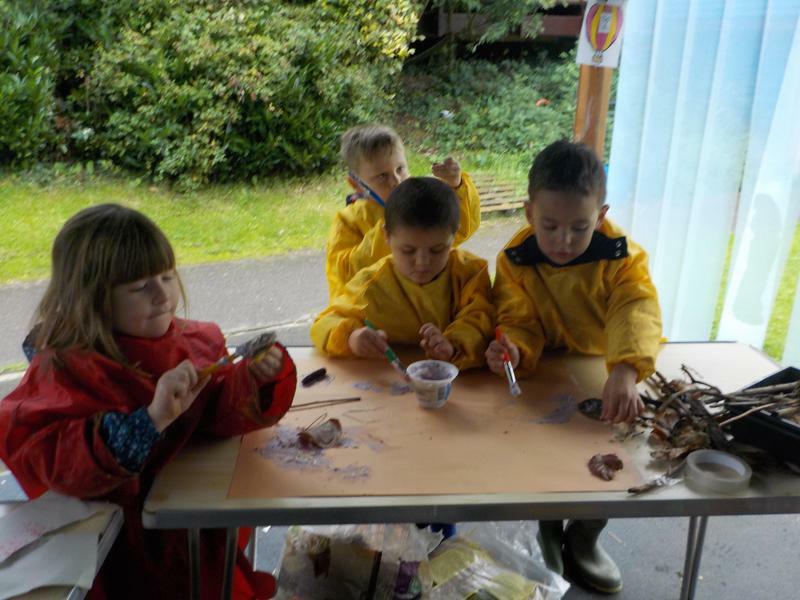 We worked together to create Autumn collages! 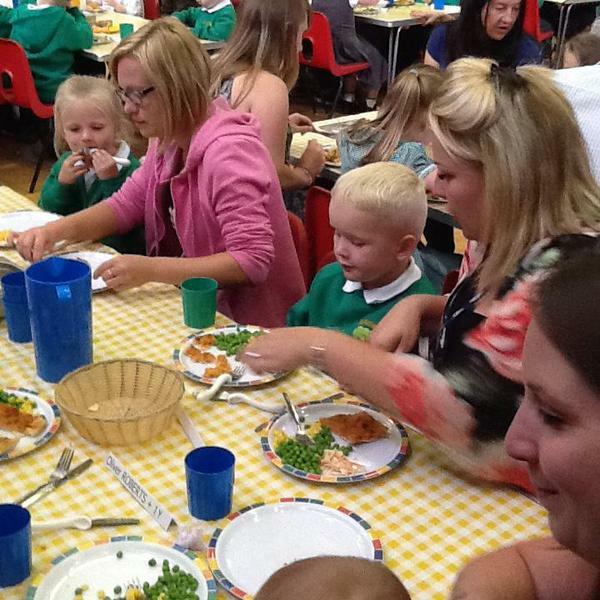 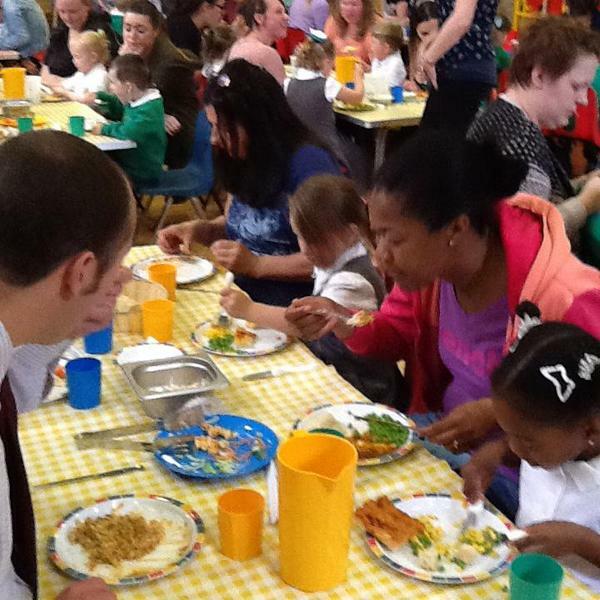 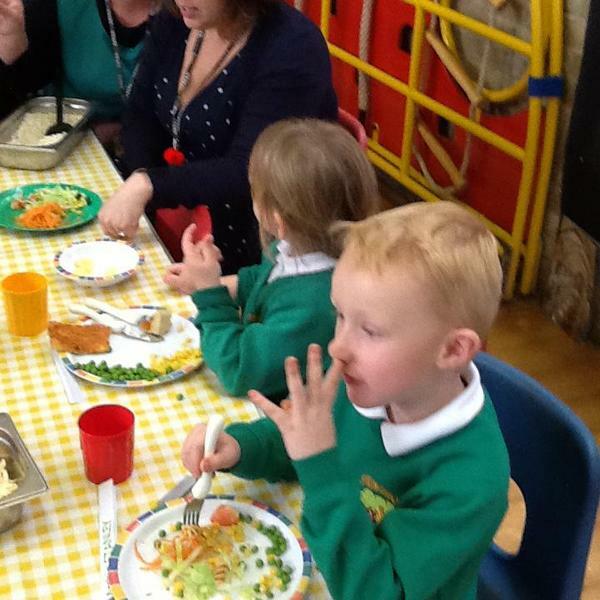 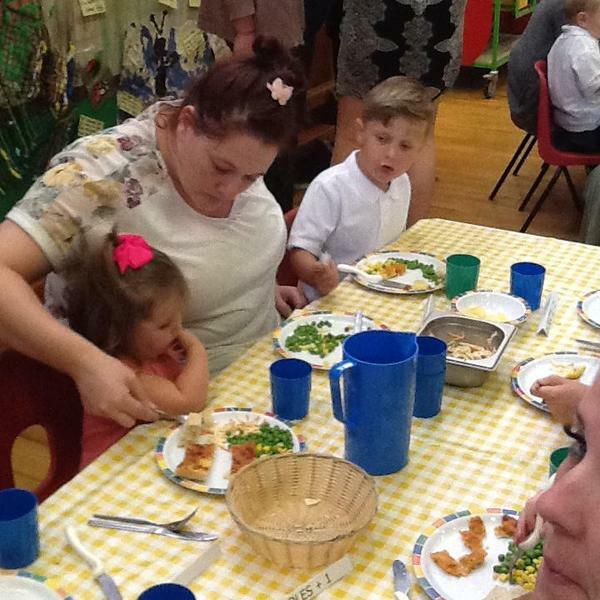 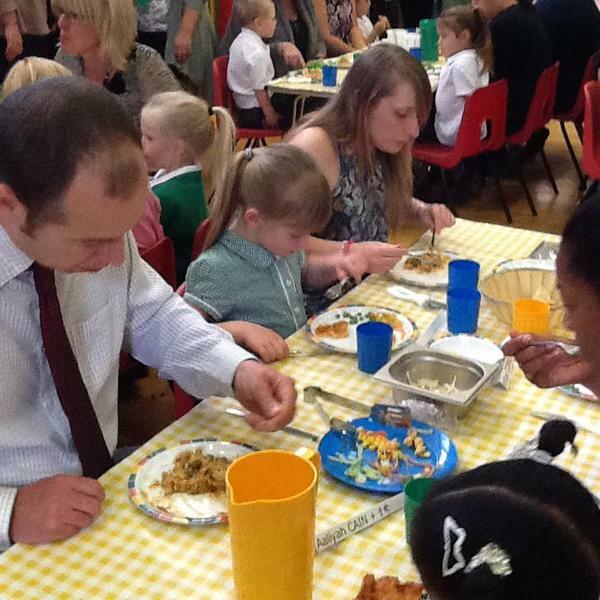 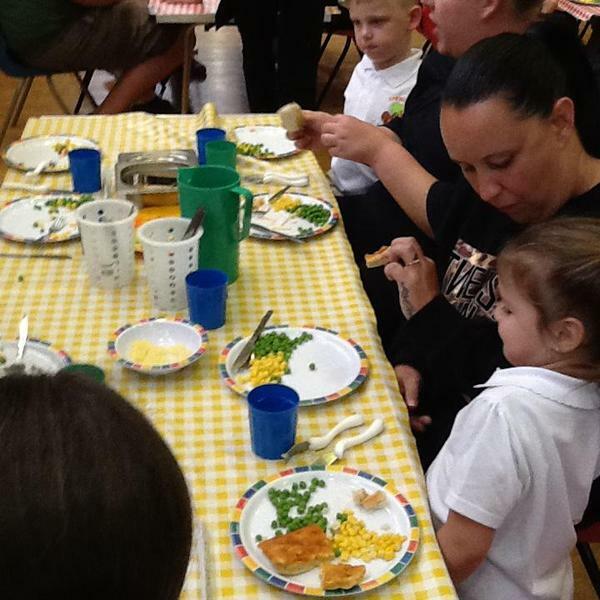 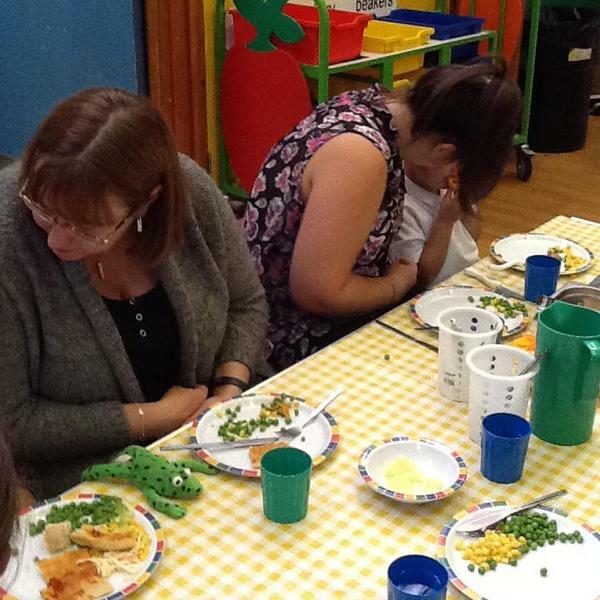 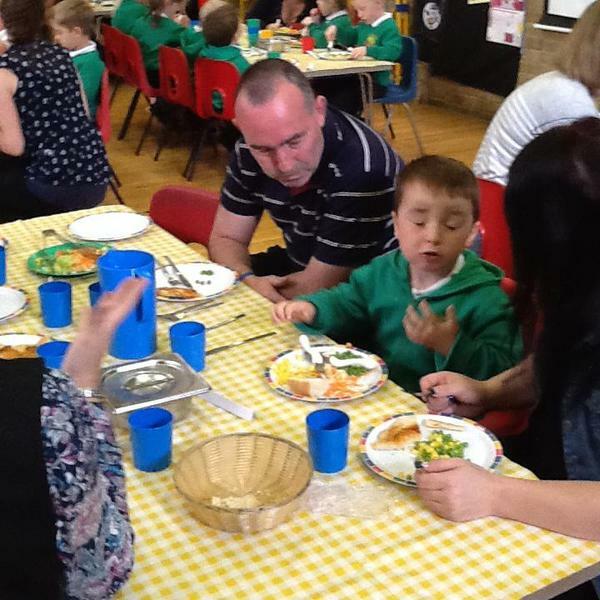 We had our first delicious school dinner and some of our parents joined us too! 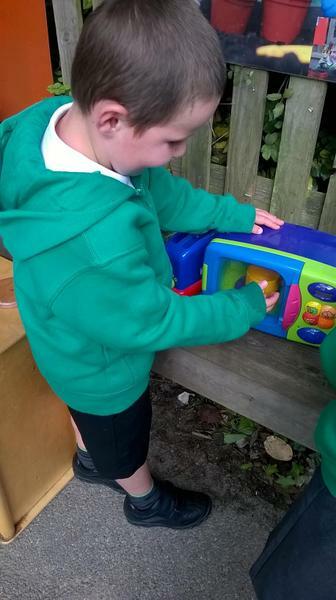 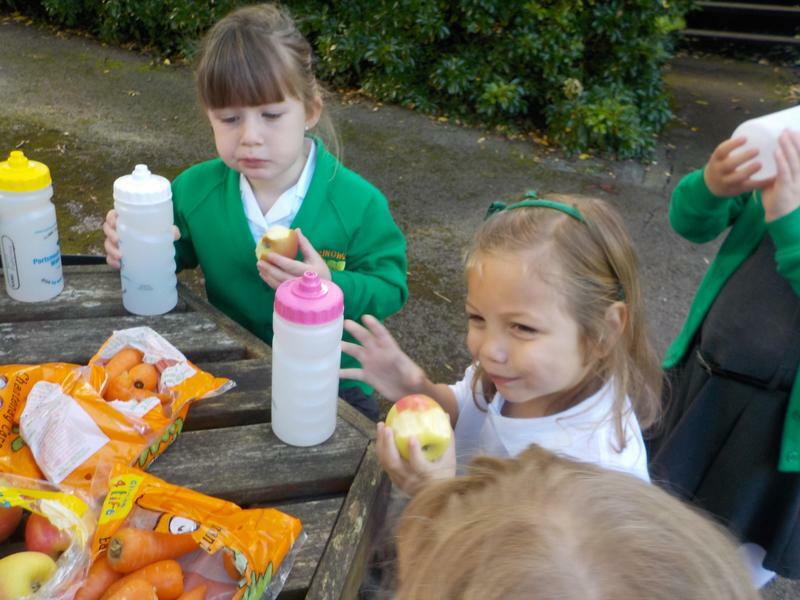 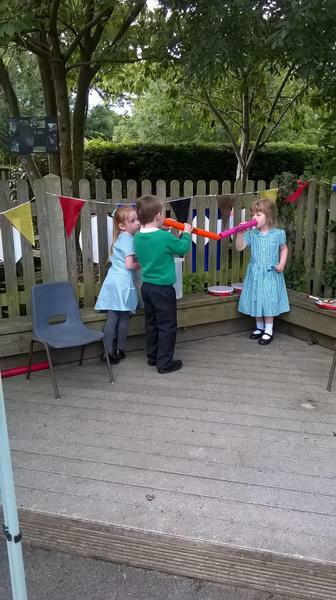 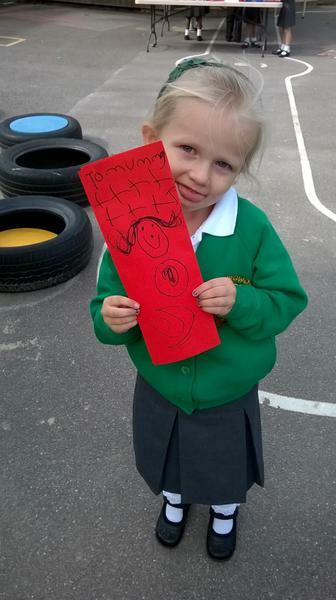 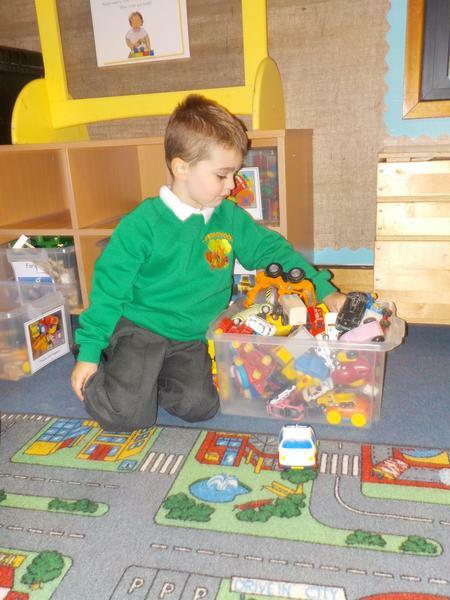 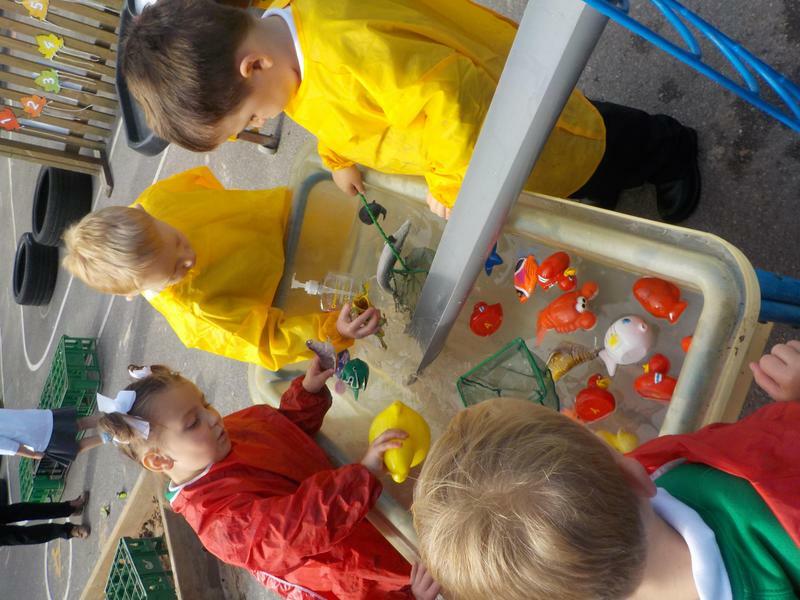 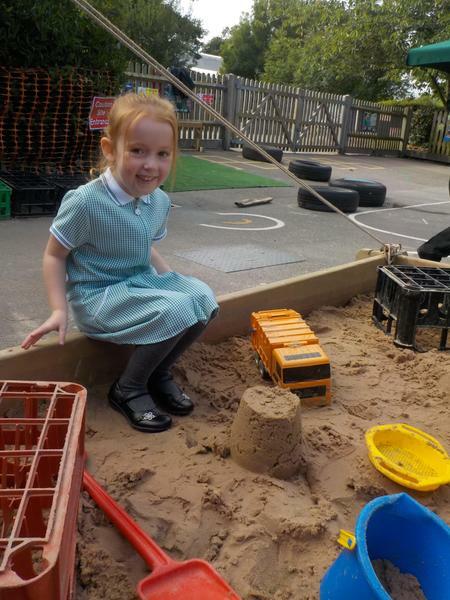 Our Foxes and Squirrels have made lots of friends and are having a wonderful first day at 'big' school! 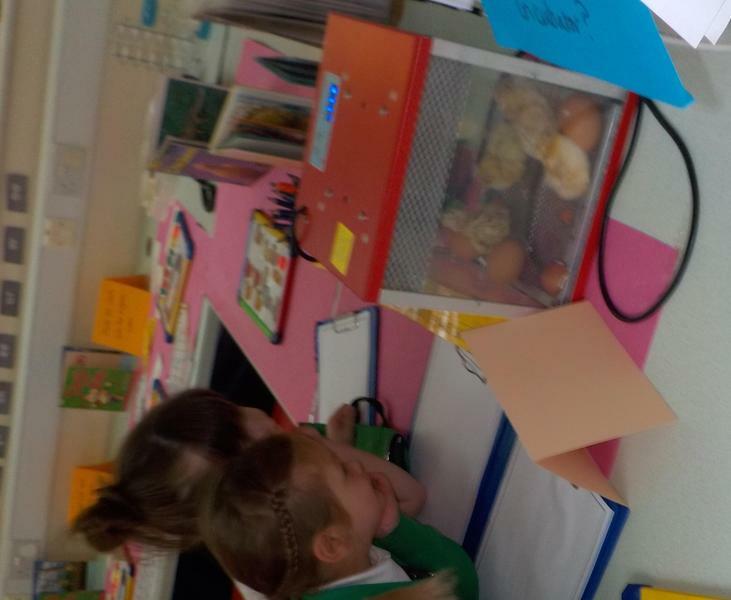 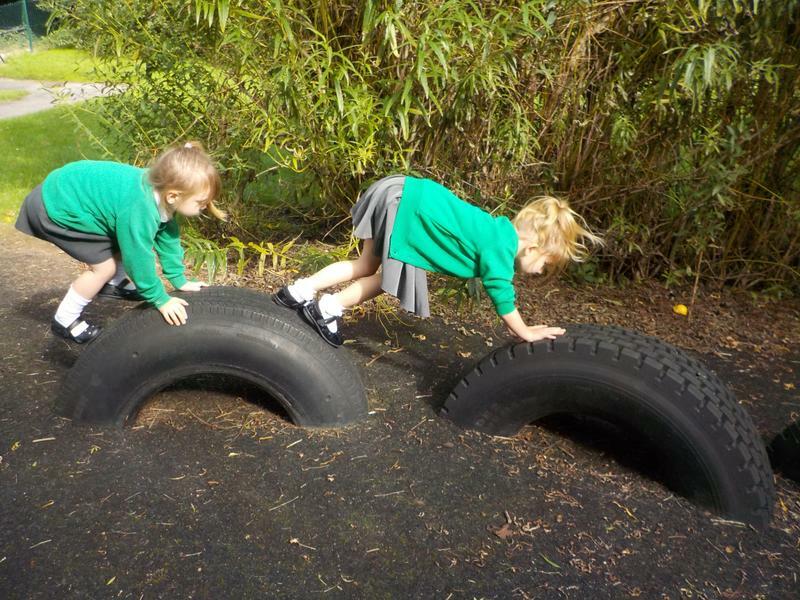 Focus on phonics This is a helpful website that gives you examples of the sounds your children are learning at school.